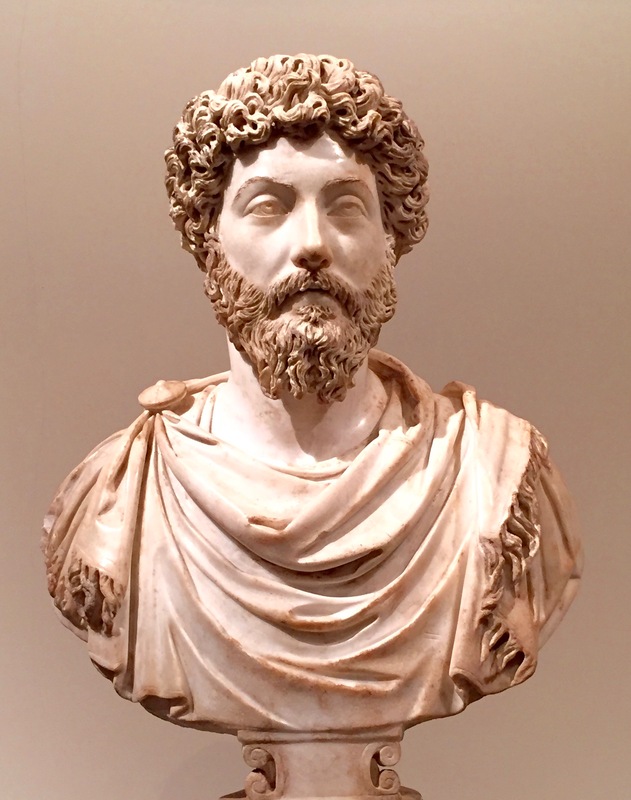 The second book of Marcus Aurelius’s Meditations opens with what is one of his most cited passages: “Begin the morning by saying to yourself, I shall meet with the busybody, the ungrateful, arrogant, deceitful, envious, unsocial. All these things happen to them by reason of their ignorance of what is good and evil … I can neither be injured by any of them, for no one can fix on me what is ugly, nor can I be angry with my kinsman, nor hate him.” Wow, it blew me away the first time I read it, and it keeps having an impact every time I re-read it. Marcus then goes on to state the Stoic belief in the benign order of the universe, something that some modern Stoics (myself included) reject in favor of a more neutral statement along the lines of whatever happens is the result of universal causation (which was definitely an ancient Stoic belief). At the end of #11 Marcus states another standard Stoic doctrine: “death and life, honor and dishonor, pain and pleasure — all these things equally happen to good men and bad, being things which make us neither better nor worse. Therefore they are neither good nor evil.” Those things are, according to the Stoics, “indifferent,” meaning that they are morally neutral, they do not affect our character and virtues. Stoicism, as we know, is tough to practice, though not nearly as much as Cynicism. Toward the end of Book II Marcus gives us a definition of philosophy, which he says is the only guide for men: “[philosophy] consists in keeping the daimon within a man free from violence and unharmed, superior to pains and pleasures, doing nothing without a purpose, not yet falsely and with hypocrisy.” I rather like the idea of keeping my inner daimon in good (spiritual) shape. This entry was posted in Marcus on July 7, 2015 by Massimo.